A few things I have done on my spare time. 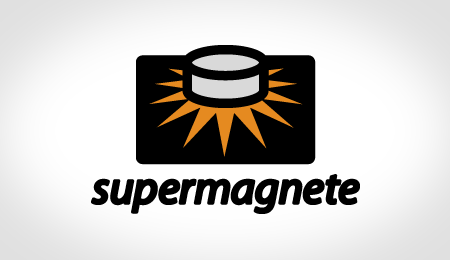 This is a logo I made for a Swiss company, Supermagnete. They sell really strong magnets in a multitude of shapes and sizes. My design was selected from about 1.000 entries in a competition in June 2006. 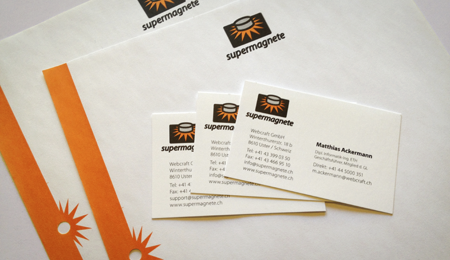 After the logo was finished I have continued to work with them, designing business cards, letters, flyers etc. 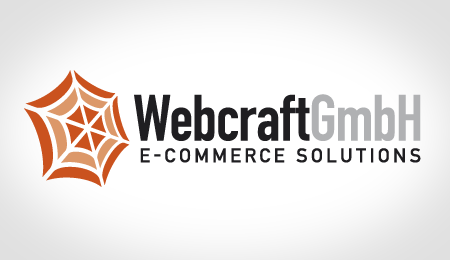 A logo designed for Webcraft GmbH (now Webcraft AG), the same people that run Supermagnete. 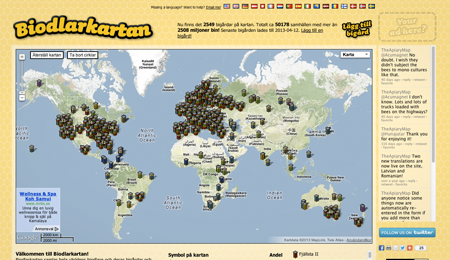 The Apiary Map / Biodlarkartan is a site for beekeepers. They can register their apiaries on a map for others to see. The map shows what type of bees lives in each apiary and also the foraging area around it.